Francavilla was a Flemish artist from a noble family. 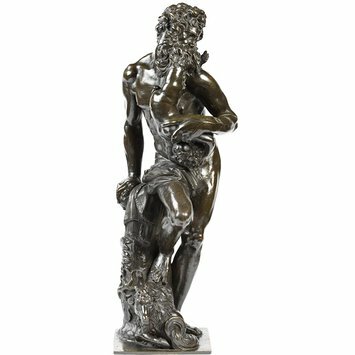 He worked as an assistant to Giambologna, then the most celebrated sculptor in Europe, in the production of large marble groups. This bronze illustrates the story from Greek mythology in which Saturn devoured his own children so they could not usurp him. Bronze statuette of a bearded Saturn, who holds the child in his left hand, upside down. 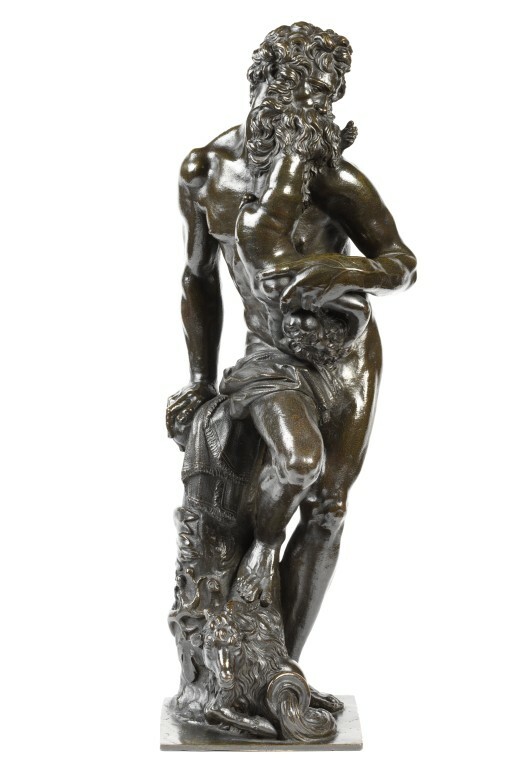 The statuette is on an ornate base of bronze with decoration in gilt. Given by Dr. W. L. Hildburgh, F. S. A., 1956. Historical significance: After a lost marble by Pierre de Francqueville, called Francavilla.